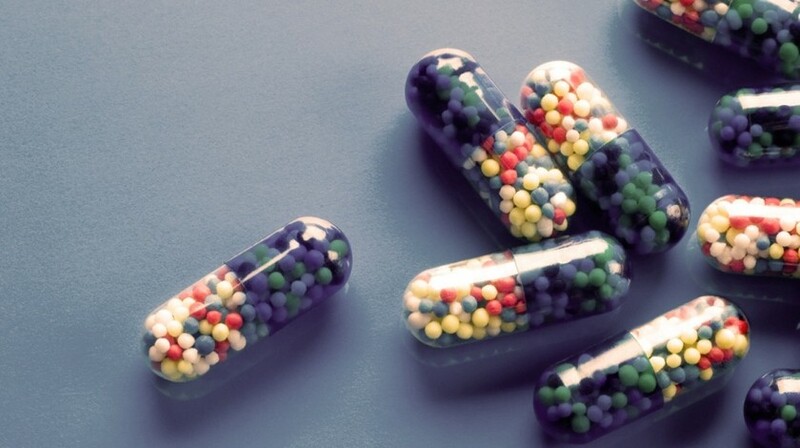 As part of our spotlight on biosimilars, we recently spoke with Gopalan Narayanan from Voisin Consulting Life Sciences (UK) about whether there are sufficient resources available to clinicians looking to adopt biosimilar’s, regulatory challenges during ATMP development and the potential of both of these products to transform the treatment of complex diseases. Could you tell us about your career to date and your current role at Voisin Consulting Life Sciences (VCLS)? I am currently VP of Disruptive Biologics at VCLS, a life science consulting company who has global agencies experience and boutique approach, offering strategic and operational advices on health product development to biotech, pharmaceutical and medtech manufacturers.. My role involves providing advice and guidance on the global development and regulatory strategy for ATMPs and complex disruptive biologics. Firstly, what is an ATMP? ATMP stands for Advanced Therapy Medicinal Products, the terminology used to cover cell and gene therapies in the EU. The specific regulation that applies to ATMPs is Regulation (EC) No. 1394/2007. Could you tell us about the main challenges of ATMP development? The product class is inherently more complex to manufacture than non-ATMPs as it involves one or more of several components such as vector, cells, gene all of which are significantly more complex than medicinal products such as chemicals or monoclonal antibodies. Non-clinical studies need to be tailored as traditional approach can often be inappropriate and unhelpful for planning clinical development. Clinical development needs a more tailored approach taking into account the specific properties of the product. Dose finding is a significant problem for products like gene therapies that can only administered once and there is little room for errors. VCLS recent webinar discussed in detail some of the main challenges with regards to regulatory, clinical, non-clinical and CMC during cell and gene therapy development in Europe, and we provided some suggestions on how to tackle them”. The webinar replay is available on VCLS website. In your opinion, what strategies can be utilized to overcome some of these challenges? The development should be tailored to products on a case-by-case basis on the basis of a thorough understanding of the biological characteristics of the product, including any potential changes to manufacturing which is not unusual with ATMPs. Further early regulatory interaction such as scientific advice is recommended to enhance chances of successful development. You were a member of the Biosimilar Working Party. Could you tell us about the current guidelines and recommendations for the development of biosimilars? The principle behind biosimilar development is that it should demonstrate similarity to the originator in quality and clinical aspects. It is not necessary to establish efficacy and safety per se as this has been established already for the originator. This is the fundamental principle behind the regulatory requirements for a biosimilar. You have previously been a co-author of the paper ‘Biosimilars: what clinicians should know’. In your opinion, are there are sufficient resources available to clinicians who are considering adopting biosimilars? It is important to ensure that clinicians understand the principles behind biosimilar approval process. For example, a clinical trial to establish biosimilarity may only be needed in one indication even when multiple indications can be potentially approved for that product as previously approved for the originator that it is compared to. ATMPs have huge potential to transform treatment of complex diseases but are highly complex products. They are expensive to manufacture and develop. They often need a case by case approach in order to fulfil their promise. Biosimilars are more established in the EU. They have the potential to reduce pricing and hence increase availability for more patients while at the same time potentially releasing resources to treat other unmet medical needs with complex products such as ATMPs. Within VCLS, Dr Narayanan provides leadership in the area of complex and disruptive biologics such as Cell and Gene therapies, called Advanced Therapies Medicinal Products (ATMPs) in Europe, including guidance on product development and regulatory strategy. In addition, he participates in the global effort of rationalising the development process, by enabling innovative regulatory mechanisms through which Advanced Therapies and other disruptive biologics can be developed and brought to patients faster and more efficiently. Dr. Narayanan has over 18 years of experience as a Pharmaceutical Physician. He has substantial experience, understanding and expertise in the development of innovative products, primarily through his previous role as an expert regulator. He was at the UK MHRA for nearly 12 years as an expert medical assessor, and 4 years as Manager of the Biologicals Unit. Narayanan was also a member of the Committee for Advanced Therapies (EMA/CAT 2009 – 2013), Scientific Advice Working Party (CHMP/SAWP 2009 – 2013) representing EMA/CAT, Biosimilar Working Party (EMA/BMWP) and Gene Therapy Working Party (CAT/GTWP). Financial disclosure statement: The authors have no relevant affiliations or financial involvement with any organization or entity with a financial interest in or financial conflict with the subject matter or materials discussed in the manuscript apart from those disclosed. The views expressed in the interview do not reflect those of Future Science Group or Oncology Central.